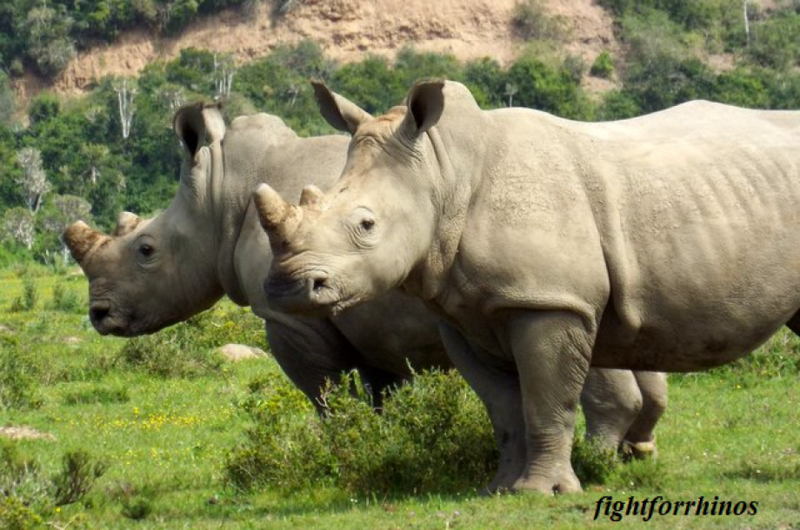 Earlier we requested your help in putting Chloe through her anti-poaching class. Her training is complete! 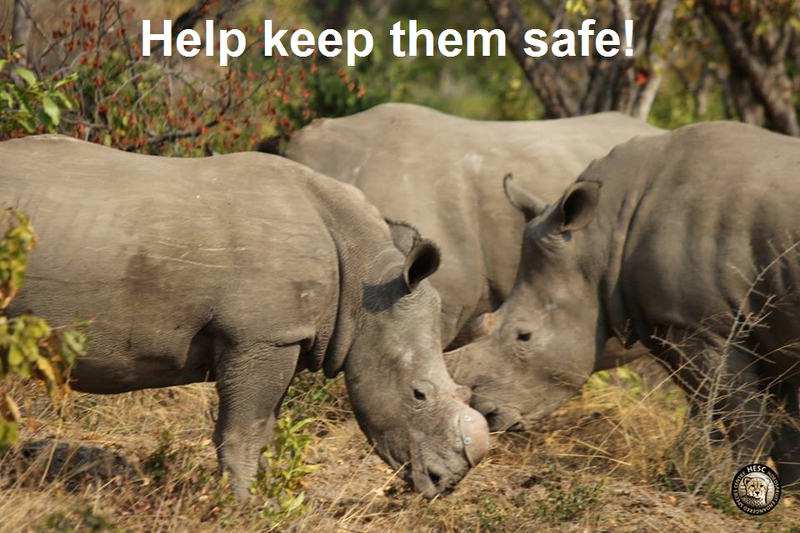 She now helps protect the Kapama area near the Hoedspruit Endangered Species Center (HESC) and Kruger National Park. The HESC current recruits are Bullet and Zee. 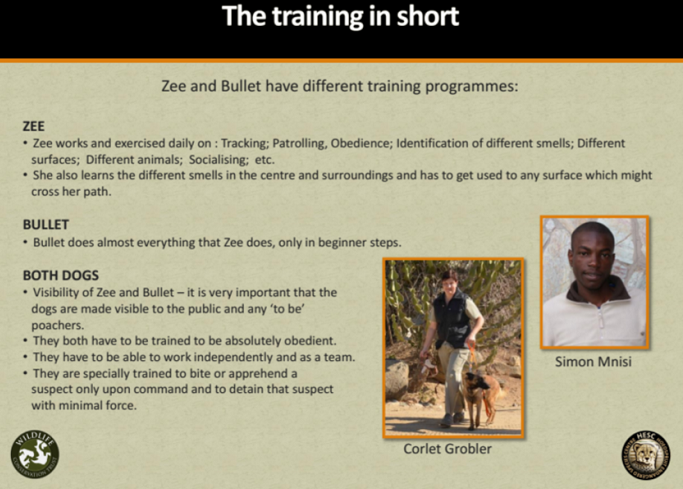 The duo is the core of the Centre’s program; with Zee successfully done with initial training and Bullet going through puppy training. 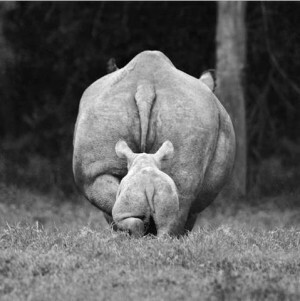 The next step will be for them to undergo advanced training. The cost of the course is R20 000 per dog and another R20 000 for the trainer to attend and have her with the dogs at all times. That’s approximately $4,162 usd total. 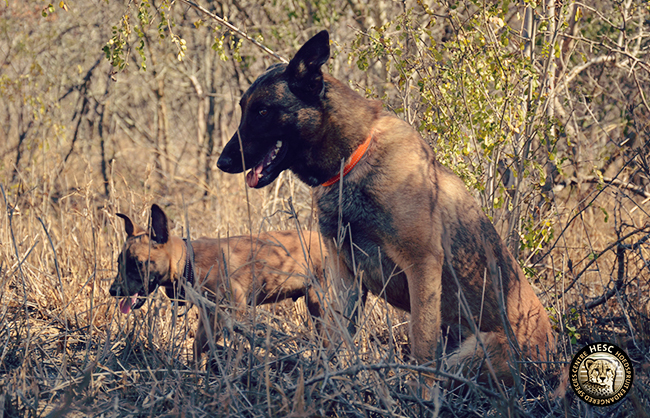 We are committed to assisting with the successful care and training of the dogs; both for the protection of rhinos and the protection of the rangers. If you are able, please donate via PayPal. Philippa, Lions Den and Dingle Dell; 3 of the rhinos @ the Centre.